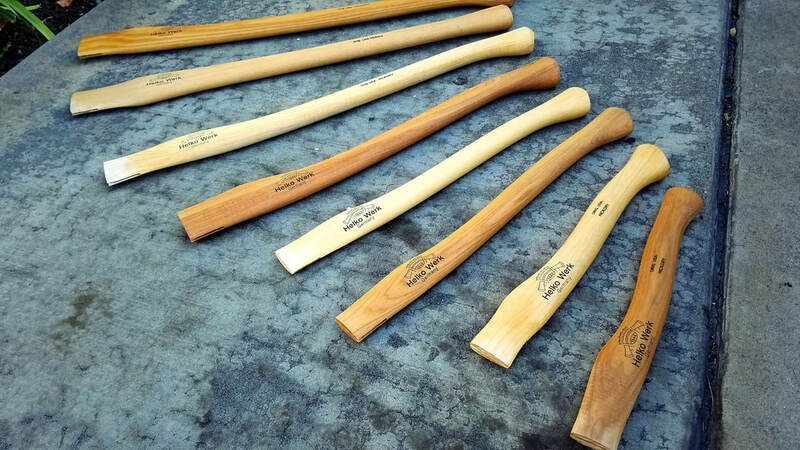 Which One Is the Best Wood for Axe Handle? What Will Happen If You Choose Low-Grade Wood? Is There Any Ideal Length for the Best Axe Handle? The definition of best wood for axe handle differs from person to person as it depends on personal choices and the area you live in. But, outdoor enthusiasts still refer to some specific options because wooden hatchet handle made from the wood of these trees last for a long time. Many people use Ash axe handle due to its longevity. Birch wood is quite popular in several Scandinavian countries. On the other hand, a great number of people consider hickory the best axe handle wood. There are also votes for white beech, seasoned oak, dogwood, and a few other varieties. 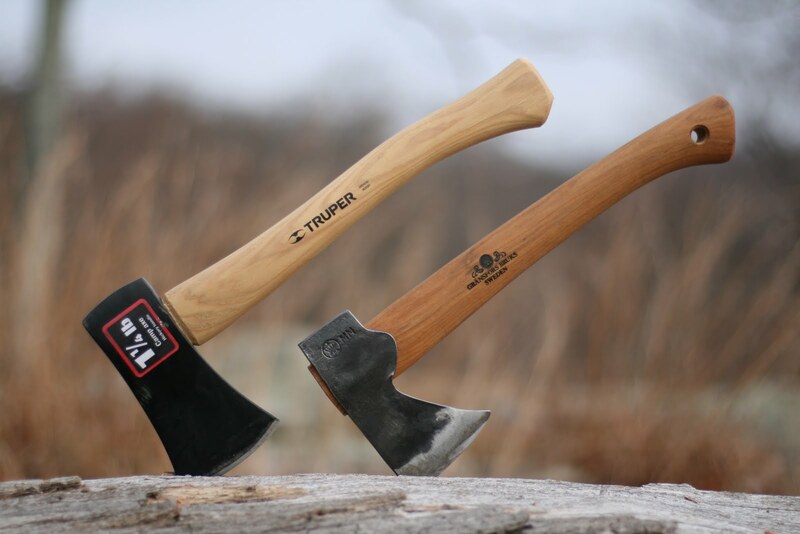 Which one should be the best pick when making a handle for your outdoor axe? The most popular choice for making an axe handle. American people trust it since ancient time not only because the tree is domestic to the country but also due to the fact that the wood is extremely strong and convenient to use. It has fairly straight grain that makes good-quality axe handles. Also, its unique shock-resistance is a valuable asset to a tool like an axe that has to absorb a great amount of impact. People in European countries prefer Ash because it is available in those regions. It is strong but its amazing flexibility has made it easy to work with. The only issue is its inability to cope up well with outdoor environments. Another option that is mostly available in the European countries. It was the most popular during the ancient era but some people still prefer them to other options. 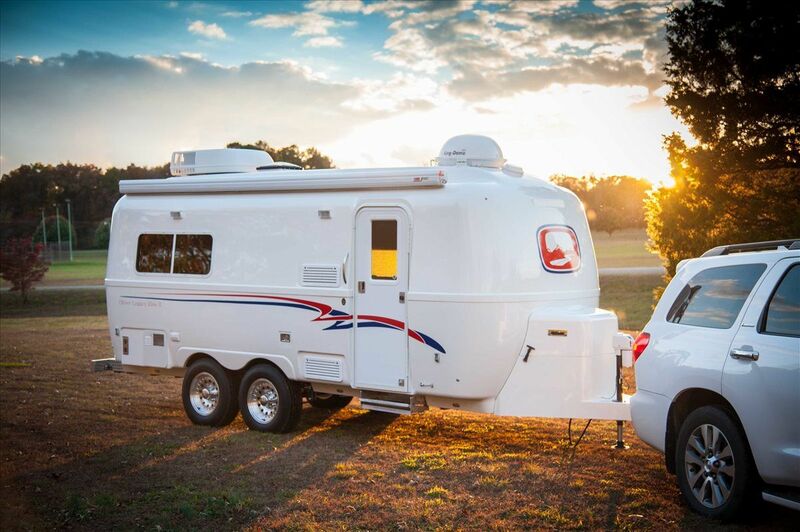 It’s a fine option given that you can give it the desired shape with a fine finish. However, the experts won’t recommend it over Ash and Hickory because it is not as much stronger as them. Birch handles are cheap and not very reliable. Birch is a cheaper option than Hickory and Ash but it is weaker than other common wood types. For this reason, you cannot rely on a handle made of Birch for durability and good performance. You may wonder why Oak is not on this list. It is true that oak is hard, durable, and highly strong and it resists fungal attack and insects. Nevertheless, it is unbefitting for an axe handle because of its tendency to collect stain and help with the formation of rust. It happens due to an ingredient called acidic tannins. Most of the outdoor enthusiasts and tool experts will suggest Hickory. 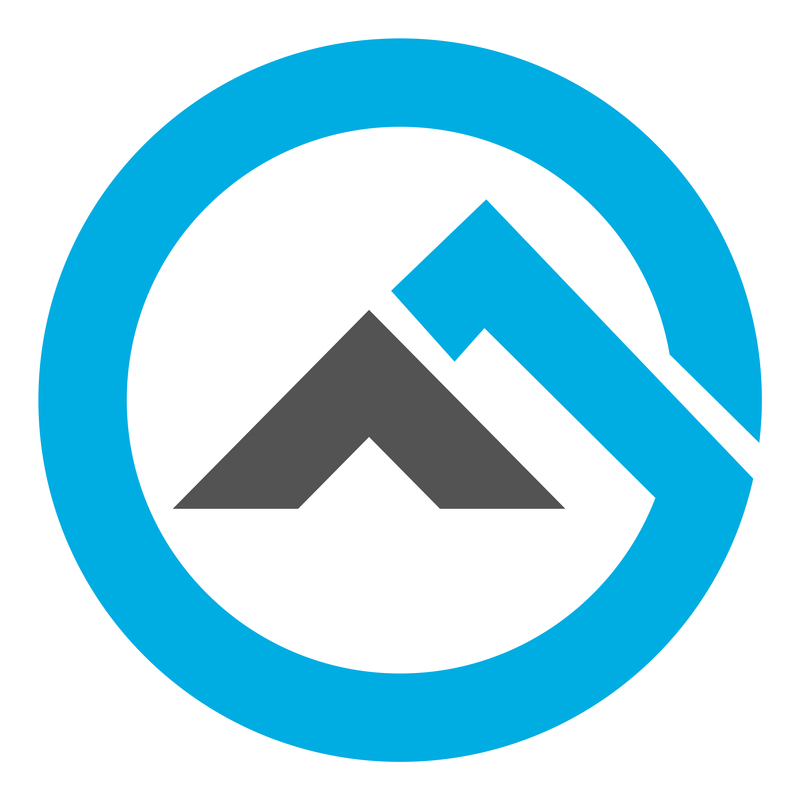 In fact, the manufacturers also use it in most of their percussion tools including the best survival axe handles. There is no doubt that Hickory is worthy of its reputation. 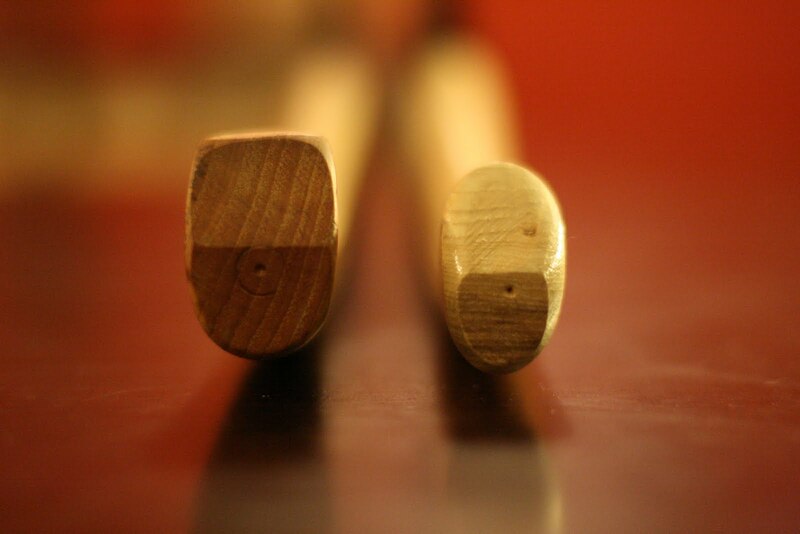 But, even a Hickory handle won’t last long and give good performance if you choose the wrong piece. 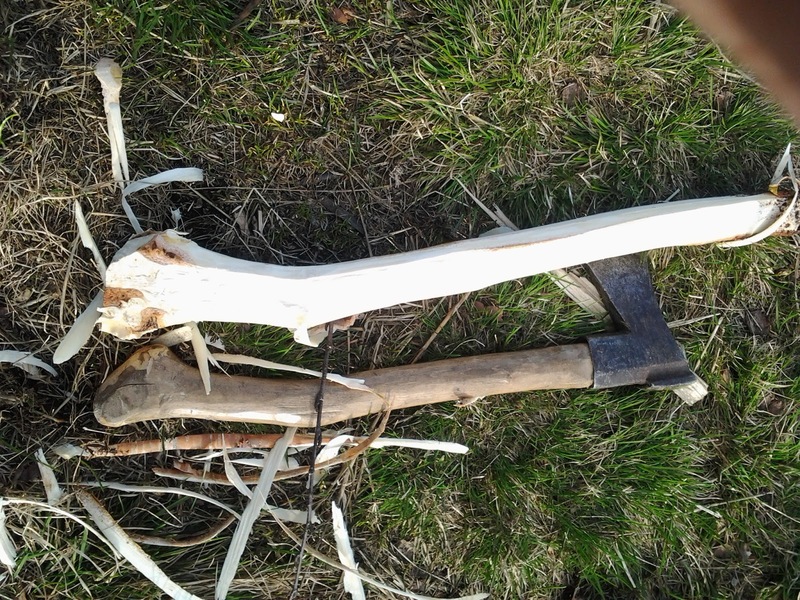 How to make an axe handle with the right piece of wood? Wood is a variable material and its quality changes with the age of the tree. So, one piece of Hickory or any other wood is not equal to another piece unless they are from the same part of the same tree. Hickory makes the best axe handles. The Hickory wood piece should be sapwood only, which means that it should be pale in color. Choosing a piece reddish in color means that you have picked up heartwood. Heartwood is also good in quality but it suits best for knobs and chisel handles, not for axe handles. A low-grade handle will have various amounts of red-colored heartwood in the mix. Another significant factor for choosing the axe handle wood is to check the grain orientation. It is arguably more important than the shock-absorbing quality or the flexibility of the wood. A premium-quality wood handle should not have more than 17 annual rings each inch of radius. The wood becomes weak when the growh ring runs out of it. The grain should be aligned with the axis force, or the wedge slot, when you are using the axe. The handle is likely to break if the grains there are not straight. 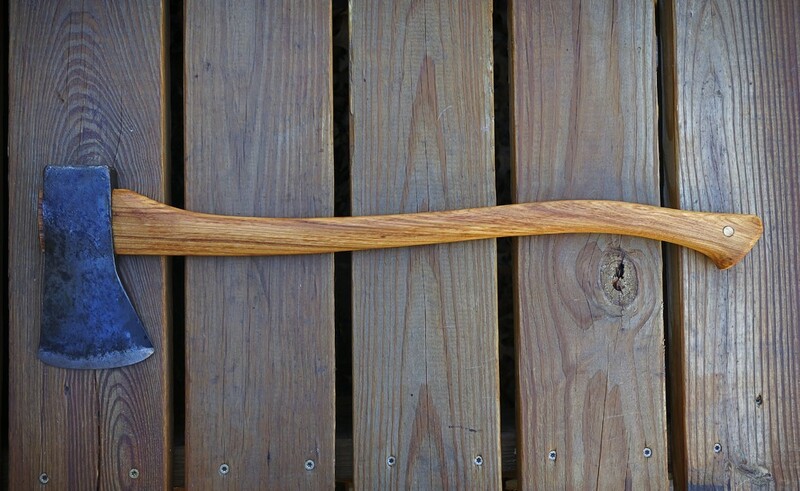 High-grade Hickory definitely makes the best wood for axe handle. Premium-grade hickory will have clear complexion, straight grain, and not more than 17 rings per inch of radius. Cheap Hickory handles are likely to warp, crack, and split. 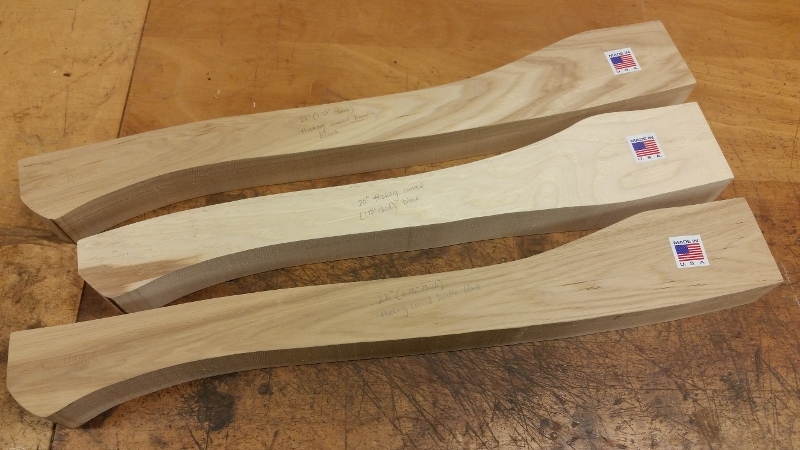 The rule of thumb for scoring the best wood for axe handle is to be ready to pay extra for the higher grade handles. The truth is you get what you pay for. Inexpensive wood will save your money but will prove costly in the end because it won’t last long. The grain has to be parallel to the wedge slot. How to spot the defects of low-grade wood? Well, there are various things that reduce the quality of axe handles. 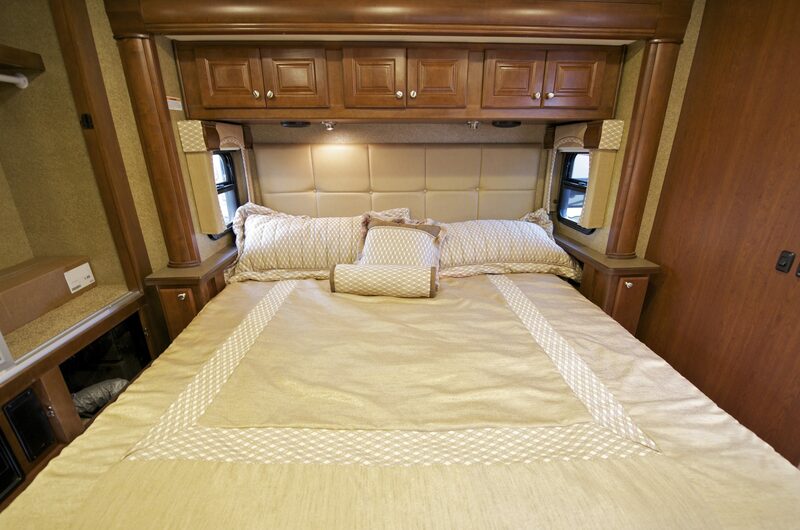 You should be careful of grain deviations, holes, splits, knots, streaks, and stain. Sometimes, the makers will try to hide the imperfections and flaws by using painting, staining, or fire-finishing. These techniques are often used on utility, cheap axes to darken and harden the handle’s surface. They conceal the faults by cloaking them and add to the cosmetic value. But, a good-looking handle does not guarantee quality. So, always stay away from the cheap ones and the axes with handles being heavily stained or painted. Typically, a 3 to 6 pounds axe has a 32 to 36 inches long handle. The handle can be straight or curved and its length varies depending on the type of wood you are going to chop on with it. Smaller handles are the most practical choice for general utility work and chopping small timber while the longer ones are better for splitting for wood logs and big timber. The best wood for axe handle should be curved straight and less than 36 inches long. However, you can curve it a bit for single-bit axes. The octagonal and oval shapes are not bad too but they are not readily available in the general catalog of the manufacturers.